The human brain is incredibly complex, and defining the characteristics that make up mental health can be complicated. Additionally, the differences between mental disorders and diseases can be minute, leading to more confusion. 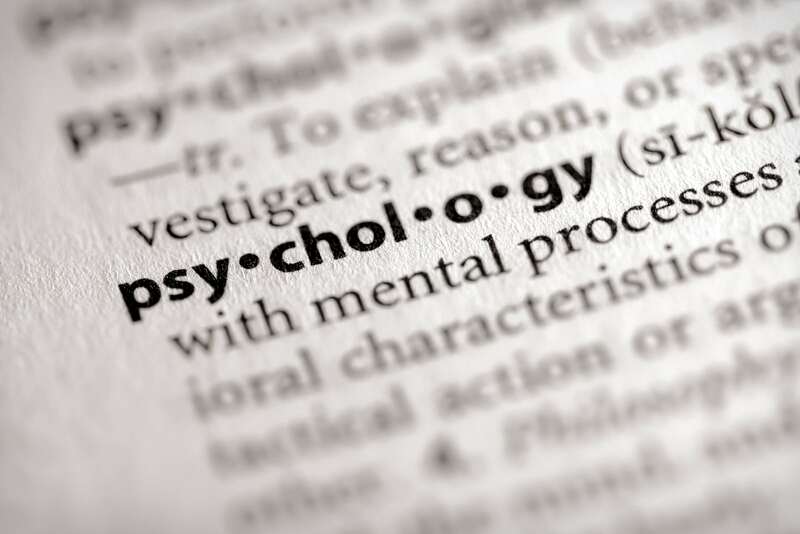 While you can find more detailed information about each of the topics listed on this page throughout our website, the below mental heath dictionary is a helpful introduction to common psychology related terms and concepts. Mental Health – The complex combination of psychological factors that govern our emotional well being and the way we act and respond to social situations. An eating disorder that primarily affects women, but that can also affect men. Those afflicted practice extreme, restrictive eating habits and often exhibit a very low body weight. A feeling of general unease or nervousness that can range from mild to severe and have physical symptoms like sweating and increased heart rate. Most individuals experience anxiety in their lives, but sometimes it can be severe enough to be debilitating. A mental health disorder characterized by extreme and/or unwarranted anxiety that affects the individual’s ability to function normally. A mental disorder that primarily affects those aged 65 and older, characterized by the progressive degeneration of cognitive abilities. A branch of healthcare that focuses on all aspects of mental health, including mental illness and addiction. A eating disorder characterized by excessive, uncontrollable eating, without purging, accompanied by deep feelings of shame. A mental health disorder that causes excessive, extreme mood swings. A serious mental illness that manifests as instability in self image, self esteem and self identity. Similar to binge eating disorder, in which a sufferer feels compelled to eat excessive amounts of food in a short period of time. Unlike binge eating disorder, bulimia includes the hallmarks bingeing and purging cycle. Clinical trials are conducted with real patients suffering from real disorders and diseases. Under the care of a physician, new and experimental medications are tested to determine whether or not they are effective, viable treatments that should be made widely available. With metal health issues on the rise worldwide, clinical trials in this field are especially needed. A mood disorder caused by an imbalance in brain chemicals, characterized by intense feelings of sadness and isolation. A catchall term for abnormal mental health. Usually used to describe more severe mental health problems. A chronic mental illness that compels the sufferer to practice obsessive rituals, with the feeling that these behaviors will prevent negative events or emotions. Baseless fear and over the top suspicion. A common symptom of mental health disorders. A physician specializing in the treatment of mental health issues. A serious mental illness in which the affected experiences delusions, hallucinations and often severe disordered thinking. A type of depression the coincides with a particular season. The act of taking one’s own life. This is far from an exhaustive list of terms, but hopefully it has provided you with a better understanding of mental health and it’s complexities. For more information, please see our guide to mental illness or our list of mental health facts. If you are suffering from any of the signs and symptoms described above, and feel that your options are limited, please consider seeking emergency help. Lehigh Center is the Lehigh Valley area’s largest independently run clinical research facility. Our physicians conduct clinical trials to evaluate new and pending medications intended to treat a variety of mental illnesses. If you are interested in leaning more about our current studies, please click the link below. Your participation could mean a world of difference to yourself and to others suffering from similar conditions.